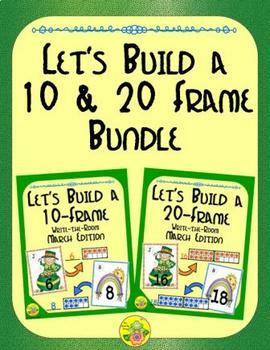 With this resource, young learners will have the opportunity to demonstrate their number-sense by building their own 10- or 20-frame when a numeral is presented to them. 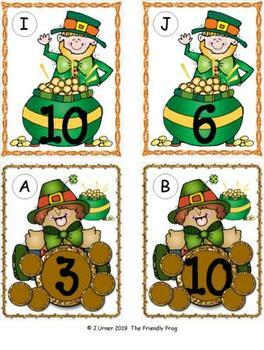 Each task card has a numeral from 1-10 or 11-20 on it. Your students will search the room for the cards. 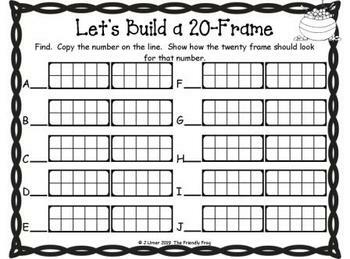 When located, they will copy the numeral onto the space provided on their recording sheet and then fill in the 10-frame with that quantity. You can even mix-and-match to create still more subitizing opportunities.